Since 2012, recreational marijuana has been legal in Colorado. The tax revenue is supposed to help fund education in Colorado. However, Colorado has accumulated so much money from the taxes on marijuana that the state will be refunding some tax dollars back to the people! In 1992, The Taxpayer's Bill of Rights was passed in Colorado. TABOR is a state constitutional amendment requiring Colorado to issue tax refunds whenever it collects more tax money than is permitted under a formula tied to inflation and population growth. The refund is expected to be about $30.5 million, or about $7.63 per adult Coloradan. This happened with the 15% excise tax on marijuana. $7.63 may not be a lot of money to get Coloradans excited, but it could buy them an extra joint. Some Coloradans expressed their feelings, saying they don't care if they refund it, the taxes are just too damn high! The Colorado government has to fund the schools with the taxes and now also refund a portion of the money. A controversial law that have Colorado Democrats and Republicans mutually concerned. One solution, beside abolishing the tax-refund law, could be to lower sales tax or income tax because marijuana tax revenue is very high. However, that is tricky because despite the high income, marijuana sales are projected to drop within the next two years. Income and sales taxes are much more reliable than marijuana. 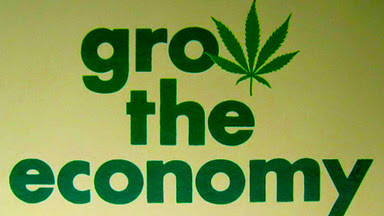 Many people said how great recreational marijuana will be, but we see it already conflicting with Colorado's tax laws. It will be interesting to see what the Colorado legislators will do, if they do anything.